These are not the dirty jobs your parents remember. Don’t be fooled — manufacturing careers are in high demand and companies need highly skilled candidates to work in modern facilities with incredible technology! There might be rumors circulating about manufacturing careers as products of a bygone era. As automation in factories continues to grow, it might seem that manufacturing leaves little room for humans. This couldn’t be farther from the truth. While the role of human workers in this field has shifted, many STEM-focused manufacturing careers are waiting for proficient workers who are well-trained in their specific fields. Discover more about some of the best STEM manufacturing careers by reading about our top five choices listed below for students who want to make a career out of making things. Through using the most innovative manufacturing technology methods, you will read blueprints and plans to make the parts that comprise products. In the role of a fabricator, you will also ensure quality control through testing the performance and safety of all parts of a product. Fabricators are required to earn a high school diploma with some additional on-the-job training. 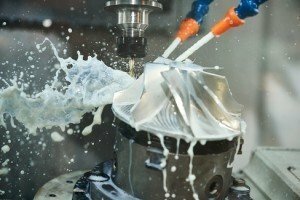 One of the most important STEM manufacturing careers, machinists use manual operations, in addition to CAD (computer-aided design) and CAM (computer-aided manufacturing) programs to create metal tools and parts that are used to manufacture products. Die makers create the tools that shape metal and are used in forging and product stamping. This is the perfect job for more social, technology-inclined students. As a field service engineer, you will travel to different job sites to perform installation, maintenance, and testing on electrical systems. Through interacting with clients, a field service engineer serves as the face of his or her company. Some employers will be satisfied with a high school diploma and some experience, but those looking to enter the field should have an associate degree in electrical engineering technology or related field. Schools like Piedmont Community College, Union County College, and Western Technical College have the associate degree programs you’ll need. The leader of the pack in the plant, the senior plant process engineer requires finely tuned project-management skills. Monitoring manufacturing costs, you examine employee efficiency and product quality. In addition to ensuring the efficient operation of a manufacturing plant, you also promote a safe working environment for colleagues, which is integral to quality output. Most employers look for applicants with a bachelor’s degree in biochemical or chemical engineering so workers know how them chemicals used in the manufacturing process interact with each other, how processes can be improved, and how to keep everyone safe. The New Jersey Institute of Technology, University of Colorado Boulder, and University of Georgia have the degree programs to get you there. Through testing materials, your job as a materials engineer will require you to determine the components that will yield the highest product performance. In this role, you will choose materials through considering quality-control guidelines established by your company and the expectations of consumers who demand the finished product. Unsurprisingly, a bachelor’s degree in materials engineering is typically required for anyone who wants to become a materials engineer. You can earn that degree at schools like Arizona State University, Boise State University, and Michigan State University. The shift toward technology-focused and sustainable manufacturing practices have increased opportunities for STEM students. Visit the National Association of Manufacturers to see how they support manufacturing careers and don’t forget to celebrate Manufacturing Day every October!